A gas explosion in a secretive enclave run by the ethnic Wa in Myanmar's eastern borderlands has killed 16 people and injured dozens, the United Wa State Army (UWSA) said Sunday. Emergency workers could be seen trawling through debris at the explosion site in Mongmaw town in a video posted on Facebook by UWSA spokesman Nyi Rang. "Sixteen people were killed and 48 others injured in a gas explosion accident," he wrote, confirming that the blast occurred early Saturday evening. Permission to access the remote zone is rarely granted, making it difficult to independently verify information. The self-proclaimed Wa State on the border between China and Myanmar only has an estimated population of some 600,000 people. But it enjoys an unusual degree of autonomy within Myanmar and boasts the country's largest non-state army of around 30,000 soldiers. This year the Wa are celebrating a 30-year ceasefire with the nation's military, and in a rare move are due to open their doors for three days in April to outsiders, including foreigners. In 1989, Wa troops mutinied against the leaders of the Communist Party of Burma who were driven into exile in China. 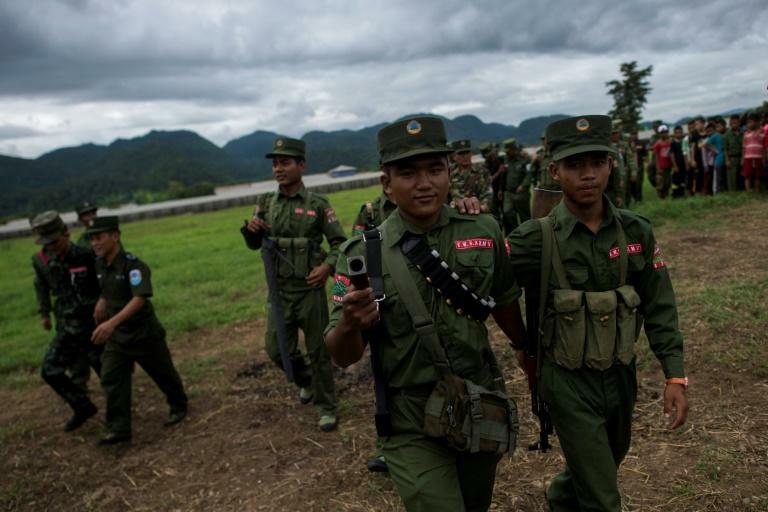 The subsequent truce signed between the UWSA and the military junta has proven relatively stable in a country where the Myanmar army is still fighting wars against various ethnic armed groups. The Wa have very close links to neighbouring China. Mandarin is far more widely spoken than Myanmar (Burmese) and the self-administered zone's economy depends on cross-border trade. The blast on Saturday came just two days after China experienced one of its worst industrial accidents in recent years, where an explosion at a chemical plant in Yancheng in the country's east left scores dead.